John Allen Speed, a native of Scotland, immigrated to the United States in 1821. Speed and his family moved to Crawfordsville in 1834 and bought land at the southeast corner of North and Grant Streets to build their log cabin. An ardent abolitionist, Speed sheltered runaway slaves while aiding the African American population of Crawfordsville. He urged the early members of the congregation of the Bethel AME church to purchase the adjacent property so they could construct their church. 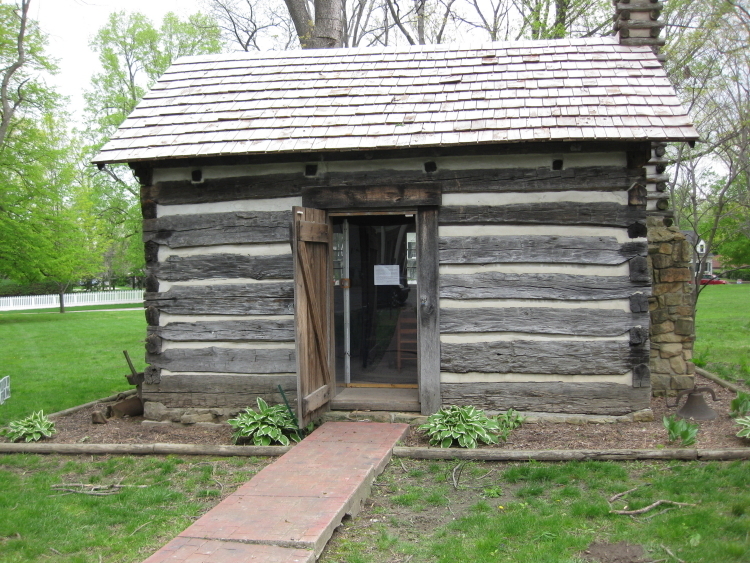 In 1990, the Speed Cabin was reconstructed on the grounds of Lane Place, a few blocks southeast of its original location and is maintained by the Montgomery County Historical Society. Indiana Division of Historic Preservation and Archaeology, “Speed Cabin,” Discover Indiana, accessed April 25, 2019, https://publichistory.iupui.edu/items/show/340.